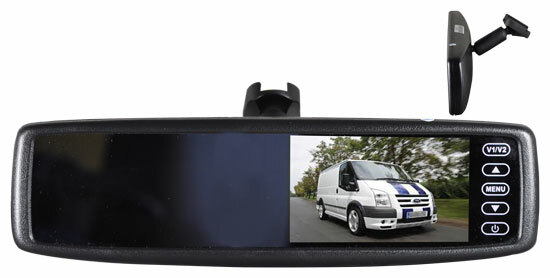 Reversing Cameras Fitted - These can prove very useful on many modern passenger vehicles due to their unique shape as much as they can on commercial vehicles with their vast size. Safe & Sound use an elite range of high spec Custom Fit Reversing Cameras Fitted for each individual installation. These Reversing Cameras allow us to mount the camera in the vehicles factory location. We are often able to interface the camera through the vehicles in-dash monitor so the image is automatically displayed when reverse gear is engaged. For vehicles with no in-dash monitor & we have different display options including a mirror monitor or compact dash mounted LCD screen. If you would like to know more then please do not hesitate to contact us for free, professional, friendly advice. We provide a mobile installation service of Reversing Cameras to towns and cities in Yorkshire including:Wakefield, Pontefract, Castleford, Dewsbury, Leeds, Huddersfield, Bradford, Sheffield, York, Hull & Goole, at a location to suit you.